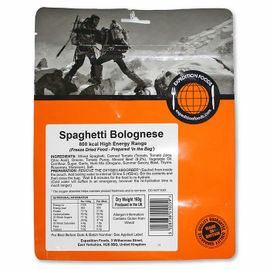 The Esbit Titanium Folding Spoon is a great piece of outdoor cutlery for ultra-light campers and hikers. Weighing in at a mere 18 g, this folding utensil is ideal when you are looking to trim weight from your rucksack, and is Ray's cutlery of choice when eating in the outdoors. Made from tough-yet-extremely-lightweight titanium, the handle folds neatly back on itself and follows the contour of the spoon for ease of packing. Features a polished eating surface for comfort. 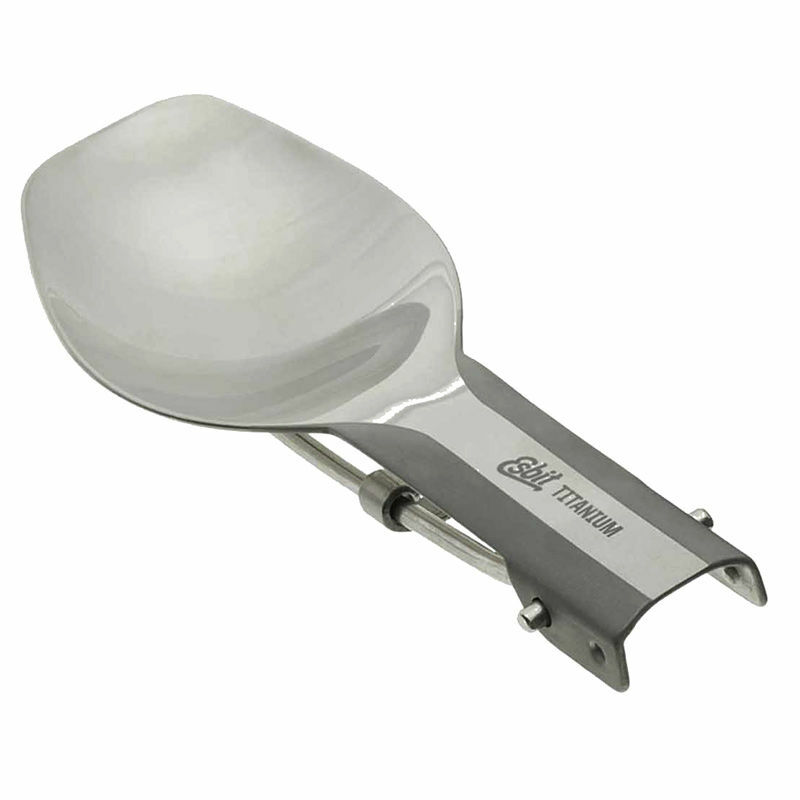 Esbit Titanium Folding Spoon is rated 5/5 based on 6 customer reviews. Light weight and feels sturdy to use. 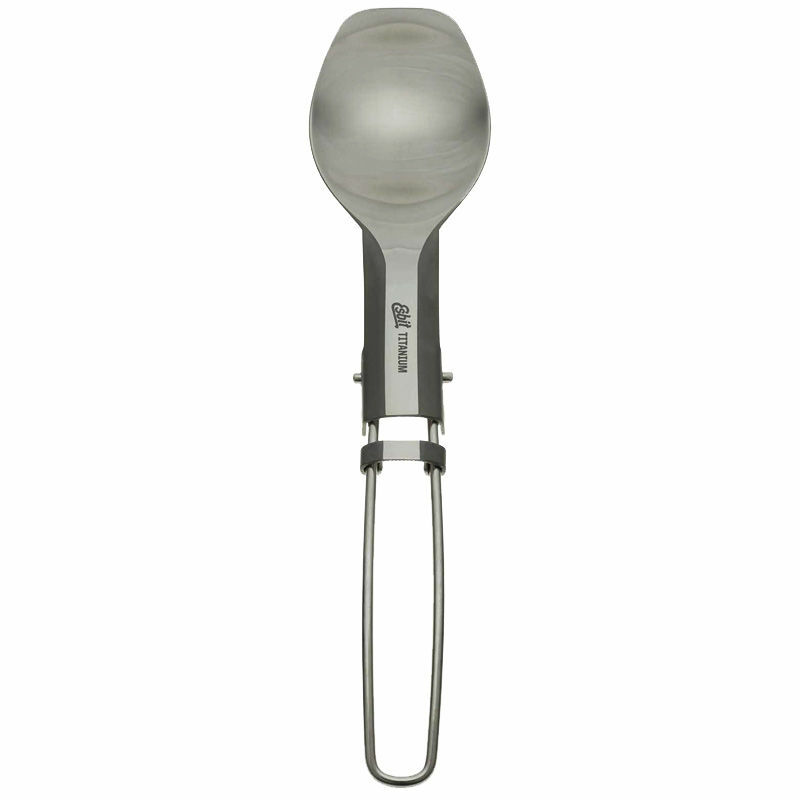 A really great, light weight Titanium spoon that folds down small enough to fit into a cup as part of my brew kit. This spoon is way better than a plastic spork making the whole experience of eating food much more enjoyable when out on the trail or in the woods. 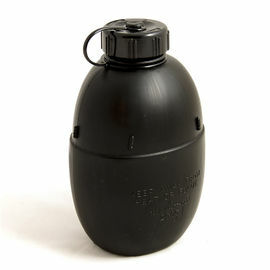 It's also beats a plastic spork for stirring hot food when cooking a meal especially over a fire. Great piece of kit. 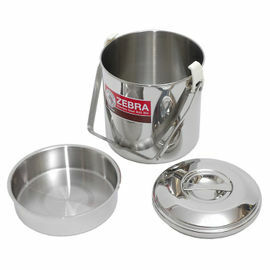 With its folding, lockable handle it fits into most containers or a pocket for easy storage. I prefer a proper spoon to a spork as you can never get those last morsels of food out of your bowl with a spork! Well made. Stays open and does not fold by mistake, very light. Better than a spork. We now have five of these brilliant utensils. 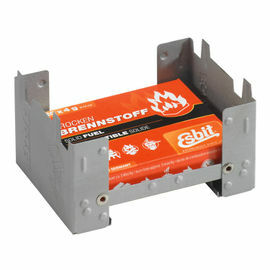 Super lightweight, super strong and super packable. None of the five we have fold in half unexpectedly as some have said - just be sure to push the little slider down towards the spoon as far as it will go and you will be fine. Long enough to get to the bottom of a dehydrated ration pack and the spoon is large enough for huge mouthfuls - brilliant bit of kit! I know have 2 of these, as they're so convenient and versatile. You can just sit one in your pocket. Perfect!